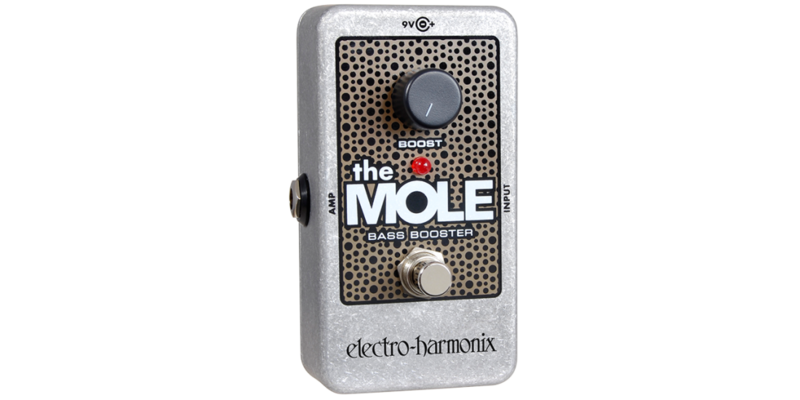 The Mole is a linear preamp Bass Booster that is also housed in a pedal board friendly, Nano die-cast enclosure. 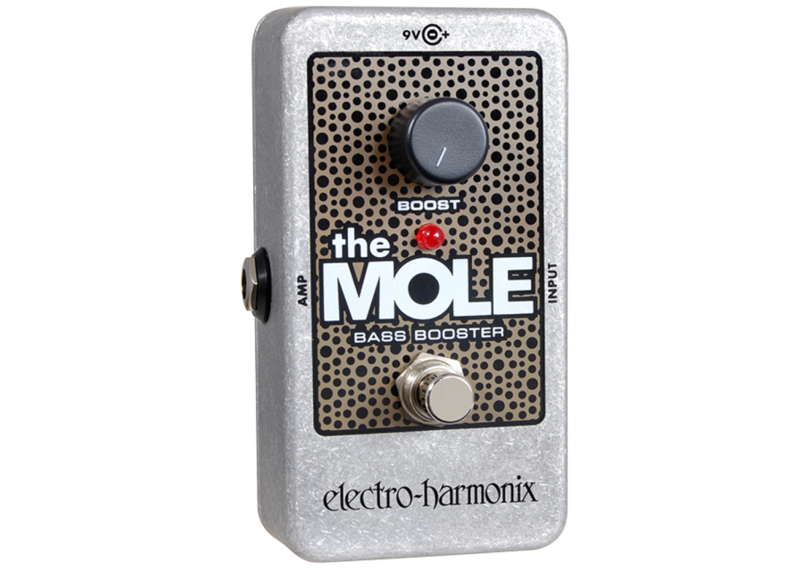 It has the same design characteristics as the Screaming Bird but instead of working in a treble frequency range, it is designed to deliver a bass boost that is centered at 200 Hz. It adds up to 20 dB of gain that is adjustable from a single knob. The single knob acts as a volume control to add gain and low frequency drive that can be pushed to a powerful bottom end distortion. Single transistor design to add up to 20 dB of specific low frequency gain to your amp.